If not in India, petrol engines are great hit throughout the world. Reason behind their popularity is their immense power and frugal nature besides being silent and peppy. Sensing the large number of nations preferring petrol engines, General Motors Chinese partner SAIC will be focusing on the three cylinder petrol engines. 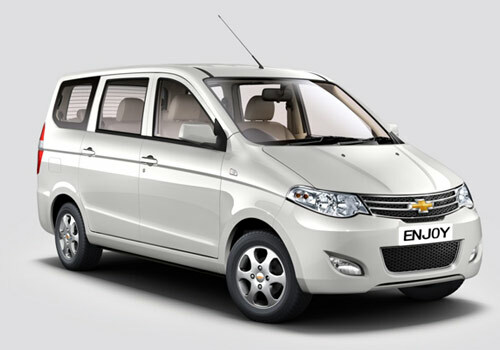 Notably, GM subsidiary Chevrolet will be launching the Sail sedan and Sail hatchback in India soon and these cars are being tested in India for various certifications. As per the information available, the car maker will be developing three cylinder engines that will be of 1.2 L, 1.4 L and 1.5 L capacity. The company will prefer three pot engines as it will give the engines the required fuel efficiency and will make these engines more viable to be fitted in small to medium sized cars. In addition to the fuel efficiency, the petrol engines will have low emissions as well that will keep the environment healthy and will also help Chevrolet cars get emissions certifications easily. Besides, the petrol engines will also have turbocharging and this will further help boost the power of the car as well as the torque. As per the information, the Opel Adam hatchback’s new avatar will have the three pot three cylinder turbo petrol engine and this is going to make the 2013 model much more lucrative for the car maker. In India, the car maker is preparing the ground for a large number of upcoming cars including Chevrolet Enjoy MPV, Chevrolet Sail hatchback and Chevrolet Sail sedan in addition to another Chevrolet SUV. The company has recently launched the new version of Chevrolet Cruze sedan. Meanwhile, it is also said that GM could think of introducing any of these engines in the current lineup including Chevrolet Beat, Chevrolet Spark or Chevrolet Optra. This is great new technology which GM is offering in their vehicles. Hoping that this will get good response.